read more In light of the extremely controversial Brett Kavanaugh confirmation to the Supreme Court voted by the Republican Senate this month, will the #metoo movement, Indivisible groups, equality and environmental activists, women’s rights advocates, and core Democratic and progressive voters combine for an historic midterm “blue wave” election on Nov. 6? over the counter viagra Every two years, our November meeting immediately follows the midterm or presidential election of the previous day. This year, La Mesa Foothills Democratic Club will look to celebrate a day of electoral successes on Wednesday night, Nov. 7, with an all-star panel of notable San Diego influence-makers. You’ll not want to miss the analysis by three of our favorite expert policymakers: Nicole Capretz, founder and executive director of the Climate Action Campaign; Matt Strabone, nonprofit attorney and former candidate for County Assessor/Recorder; and Brian Elliott, policy director for City Councilmember Chris Ward and chair of Sierra Club’s Political Committee. viagra online canadian pharmacy Can charismatic Ammar Campa-Najjar knock off indicted oft-investigated bunny-shipping Congressman Duncan Hunter in a huge upset in the 50th Congressional District? Will Mike Levin take Darrell Issa’s seat in the 49th? Will promising Democrats Dr. Jen Campbell and Tommy Hough solidify a San Diego City Council for Democrats? Will Dr. Akilah Weber and Dave Myers do the same in La Mesa? Which stadium measure will carry the day? Can SDSU gain a foothold for expansion in Mission Valley with Proposition G? Or will private investors behind SoccerCity get the go ahead from voters with Proposition E? One little side-note: Nothing actually binds the investment group behind Proposition E to actually build a soccer stadium to replace Qualcomm Stadium. Will the newly imposed gas tax, meant to provide funding for infrastructure and transportation improvements statewide, be repealed by Republican gadfly Carl Demaio’s Proposition 6? 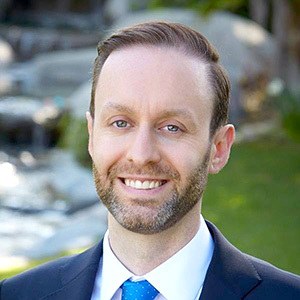 Will Nathan Fletcher break the Republican monopoly on the County Board of Supervisors? Can Matt Brower win a heated Superior Court battle against real creep Gary Kreep? Will our bevy of down-ballot candidates in East County find success in newly contested races in traditionally red districts? These, and many other issues in the most important midterm of our generation will be dissected in detail by Capretz, Strabone and Elliott at La Mesa Community Center, 4975 Memorial Drive, La Mesa, just north of University Avenue. The meeting starts at 7 p.m., with our social time at 6:30 p.m. when the doors open to all members and guests. La Mesa Foothills serves the communities of Del Cerro, San Carlos, Mt. Helix, Casa de Oro, Allied Gardens, La Mesa, Santee, the College Area, and other nearby enclaves. Don’t miss our gala holiday celebration at our Dec. 5 meeting with guitarist and satirist Roy Zimmerman returning to share his musical and comedic gifts, and a potluck dinner supplied by our membership. 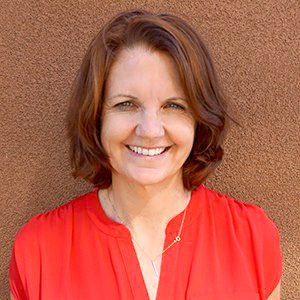 —Tina Rynberg is president and Jeff Benesch is vice president of programming for La Mesa Foothills Democratic Club. Reach them at jeffbenesch@gmail.com. © 2019 Mission Times Courier. All rights reserved. San Diego Community News Network (SDCNN).